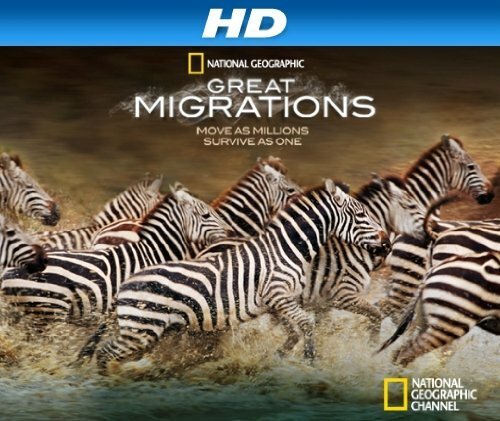 Amazon frequently lets customers download free content via their video-on-demand product. You can watch the video through your browser or download for viewing on your PC. 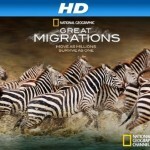 Right now you can get a 51-minute National Geographic behind the scenes episode of “Great Migrations” in HD — no charge. The original air date of the episode was November 14, 2010. (Note: This is not the full 3-hour episode.) We watched the title via the Amazon player and the 720p rez video looked pretty darn good on a 20″ Apple display. A couple other titles of substantial length available to download or watch for free are NBC’s “The Cape – Pilot” from The Cape Season 1 and USA’s Episode 9 “Point Blank” from White Collar Season 2. Here’s a few shorter pieces of content you may be interested in: “Resident Evil: Afterlife – Band of Survivors: Casting Afterlife” (7-minutes), “The Cape Season 1” ‘The Cape – Behind The Scenes’ (4-minutes), “Harry Potter Years 1 – 5” and “Salt – The Ultimate Female Action Hero” (9-minutes). To download videos from Amazon Video On Demand you need to install the Amazon Unbox Video Player on a Windows PC (Unfortunately it doesn’t support Macs.) We don’t know how long this content will be available so click to it now or forever hold your peace. Next Next post: Bond 23 back in production! cool man! the cape pilot is really good too. worth checking out.